Ian Lamb (NSW Junior Member) enjoyed success for a second year in a row. 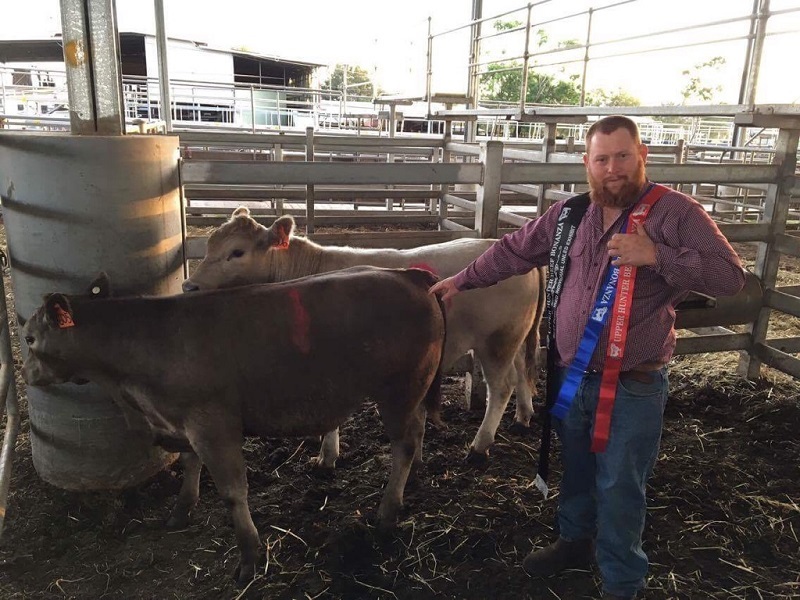 Ian prepared 2 steers, purchased from Muurabay Square Meaters, for the lightweight unled class at the Upper Hunter Beef Bonanza. With live weights of 318 and 327 the steers scored 86.94 and 85.99 respectively giving him both first and second place. The scores were also the highest of the light weight divisions of both led and unled classes. In an event that attracted 800 entries from school students and individuals and saw the presentation of 388 head of cattle, the Square Meaters Breed was well represented. Cluskers Square Meaters provided a steer shown by Yass High. Kincumber also took out 2nd place in Class 6 light middle weight carcass results. Square Meaters scored very well in the event giving further recognition of the breeds focus of providing “premium beef to the domestic market”.